On March 17, 2014, astronomers announced a major discovery that provides evidence for the theory of the rapid expansion of the early universe following the Big Bang. The discovery was a predicted pattern in gravity waves in the universe Cosmic Microwave Background (CMB). It is an historic finding with many implications. The evidence seems to confirm that in one trillionth of a trillionth of a trillionth of a second after the “Big Bang” the universe expanded much faster than the speed of light. Cosmologists call this the inflationary epoch. The timing of inflation tells physicists about the energy scale of the universe when inflation was going on. The information suggests that this was the same energy scale at which all the forces of nature except gravity (the electromagnetic, strong and weak forces) might have been unified into a single force, an idea called the grand unified theory. What makes the discovery even more interesting is that it may also provide evidence to the possibility that there are many universes. The term multiverse is used by scientist to describe the hypothesis of multiple universes, which may exist with our universe; but possibly in other dimensions. We have learned so much about how massive and vast our universe is; especially in the last decade with improvements in technology and instruments like the Hubble Telescope. Estimates are that our own Milky Way Galaxy has about 300 billion stars; many of them are more massive than our sun, which is nearly a million times bigger than the earth. There may be between 100 and 200 billion galaxies not to mention other things like the possibility of black holes. Now, cosmologists are saying that they have evidence the entire universe was compressed into a tiny spot of energy smaller than one atom and then in an instant space, time, and energy expanded much faster than light to create our universe. It is impossible for science to go back before that special second because time and space did not exist before that. We can only speculate about what caused the Big Bang and where the energy came from. It actually seems strange that astrophysicists separate the Big Bang from the inflationary epoch since they both happened in the same second of time; one trillionth of a trillionth of a trillionth of a second later, to be exact. The moment of the Creation looks like a very precise, controlled and massive event. The reason scientist came up with the theory of cosmic inflation is because the universe is relatively flat and smooth, not what you might expect from an explosion. For me, this whole discovery has God written all over it. Consider that we now have scientific proof that something exists outside of space and time, something or someone is eternal. The entire cosmic creation proclaims God in its order, beauty, and power. On June 3, 2014 a new Hubble image was released it is the most comprehensive view of the evolving universe ever captured by the space telescope, Hubble representatives said. 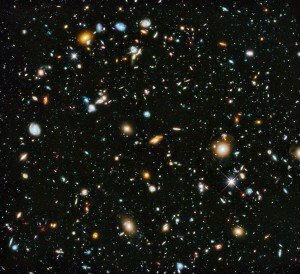 Hubble previously imaged the same patch of sky shown in the new image to create a super-detailed view known as the Hubble Ultra Deep Field. The image contains about 10,000 galaxies and extends very far back in time, capturing a snapshot of galaxies just a few hundred million years after the Big Bang. In this photo, we are looking back 13 billion years in time, just a few hundred million years after the Big Bang. It is amazing to see how advanced the universe was when it was so young. 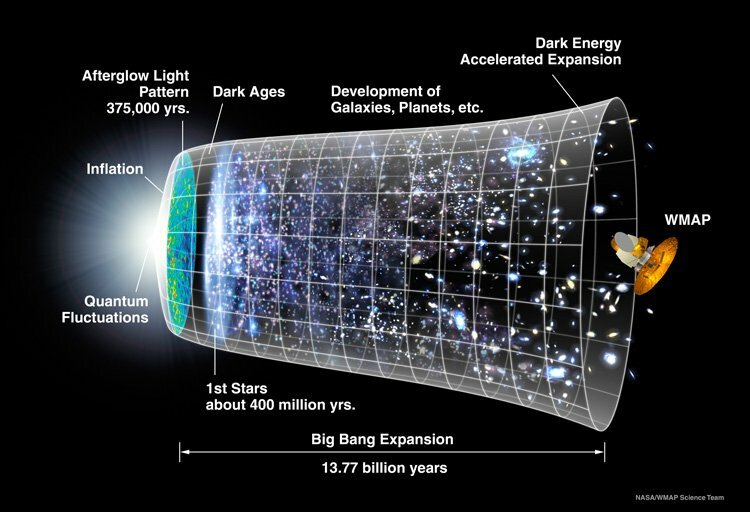 Is cosmic inflation in the Bible? 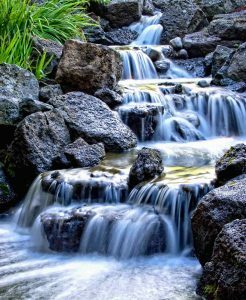 There are at least four scriptures where God mentions stretching out the heavens. Each of these scriptures are in the context of Creation. Is Multiverse in the Bible? Yes, we know that Jesus taught about the Kingdom of God and the Kingdom of Heaven. A kingdom is a domain or realm. The Bible also mentions a Kingdom of darkness. Jesus taught that there are things we can not see but we know they are there because we can see the affects, see John chapter 3. There is a spiritual realm that we cannot see with our physical eyes but we can see the affects of it. This is what science recognizes as dark matter and dark energy. Science always proves God when it is true science and not speculation. 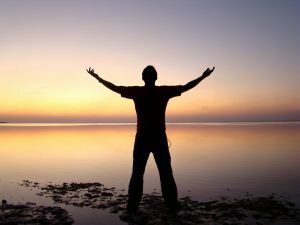 God is a God of order and He creates with order that is why science can study the creation and discover order and physical laws that govern the physical realm. The universe was obviously not created by random chance. In fact entropy (randomness, disorder) has increased from the time of creation and continues to increase. In the beginning was the Word, and the Word was with God, and the Word was God. He was in the beginning with God. All things came into being through Him, and apart from Him nothing came into being that has come into being. In Him was life, and the life was the Light of men. (John 1:1-4 NASB) Note the Word is a name for Jesus.